North Korea's most recent test launch of four ballistic missiles was aimed at overcoming the defensive capabilities of the US THAAD missile defense system, which has already been deployed in South Korea, Russian expert Vladimir Khrustalev told Sputnik China. Is Trump Planning to Use Military Force Against North Korea? In an interview with Sputnik China, Russian expert on North Korea Vladimir Khrustalev suggested that the March 6 launch by Pyongyang of four ballistic missiles was "another step" in North Korea's attempt to figure out how to pierce through the US Terminal High Altitude Area Defense (THAAD) system, elements of which have already been deployed in South Korea. Earlier, the US Defense Department confirmed that North Korea had carried out multiple launches of medium-range ballistic missiles. Out of four missiles, three landed 300-350 kilometers (186-217 miles) from Akita Prefecture, located in the northwest of Japan's main island of Honshu. — Raphael Babikian (@RafaelBabikian) 7 марта 2017 г. One missile landed about 200 kilometers (around 124 miles) from the prefecture, the closest a North Korean missile has come to Japan in the history of the country's missile launches, the broadcaster NHK said on Thursday, citing a government analysis. 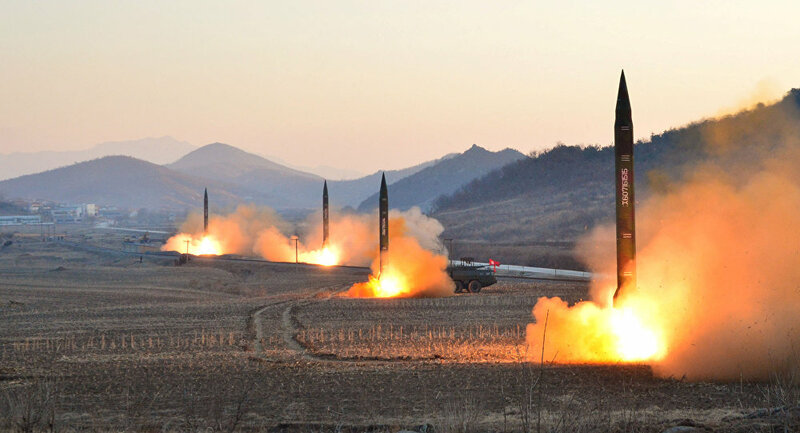 Commenting on the issue, Khrustalev argued that North Korea's latest missile launches were exercises rather than tests, a term which he said is now often used by the mainstream media. "This is a big difference. If in the first case we are talking about experiments with new technology, then the second one is all about training the military to handle standard weapons which are already available. Any combat training should be in line with real circumstances," he said. "And the current real circumstances are related to the fact that North Korea has to take into account the factor of its enemies developing their missile defense systems. It means that Pyongyang should think about adequate [retaliatory] measures by notably creating new missiles and coming up with new ways of using those missiles that are already in service," he said. Khrustalev predicted that with the missile defense systems constantly being modernized, tactics to overcome these systems will also be upgraded in the future. "This is the logic of the military and political confrontation and that of the arms race," he concluded. Meanwhile, Japanese Defense Minister Tomomi Inada said on Thursday that her country was not excluding any response measures within international legal framework in connection with the missile launches. Seoul has expanded the list of products banned for export to North Korea following Pyongyang's new missile activity, according to South Korean media. The banned products can be used in nuclear weapon production and for missile programs. 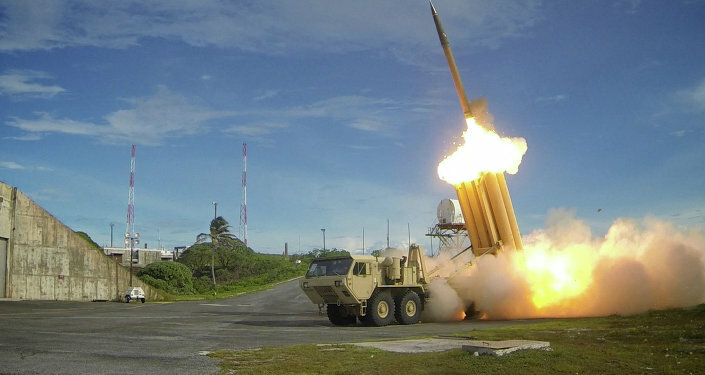 Earlier this week, South Korea's Ministry of National Defense confirmed that the first elements of the THAAD system had arrived at Osan Air Base in South Korea; the Ministry also announced plans to deploy THAAD units in Seongju County. Seoul and Washington agreed to deploy the THAAD system, designed to intercept short, medium and intermediate ballistic missiles at the terminal incoming stage, in July 2016, amid South Korea's growing unease about Pyongyang's nuclear activity.